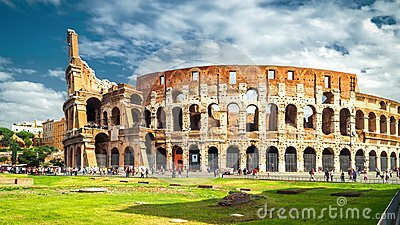 Colosseum or Coliseum in Rome in the sunlight, Italy. Rome landmark. It is the main tourist attraction of Rome. Historical architecture and ruins in central Rome.